This item will take 10-15 Working Days to be delivered. We will contact you to arrange a suitable day for you to receive your order. 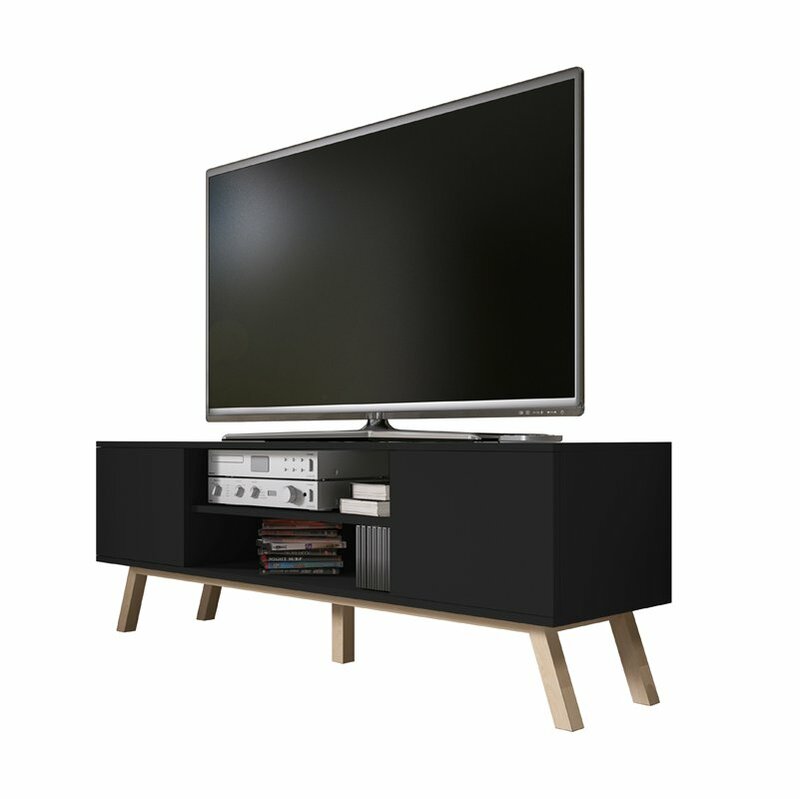 Looking for a stylish TV Cabinet Stand that will complement your existing d?cor? Well the VERO WOOD is the answer you've been looking for you! 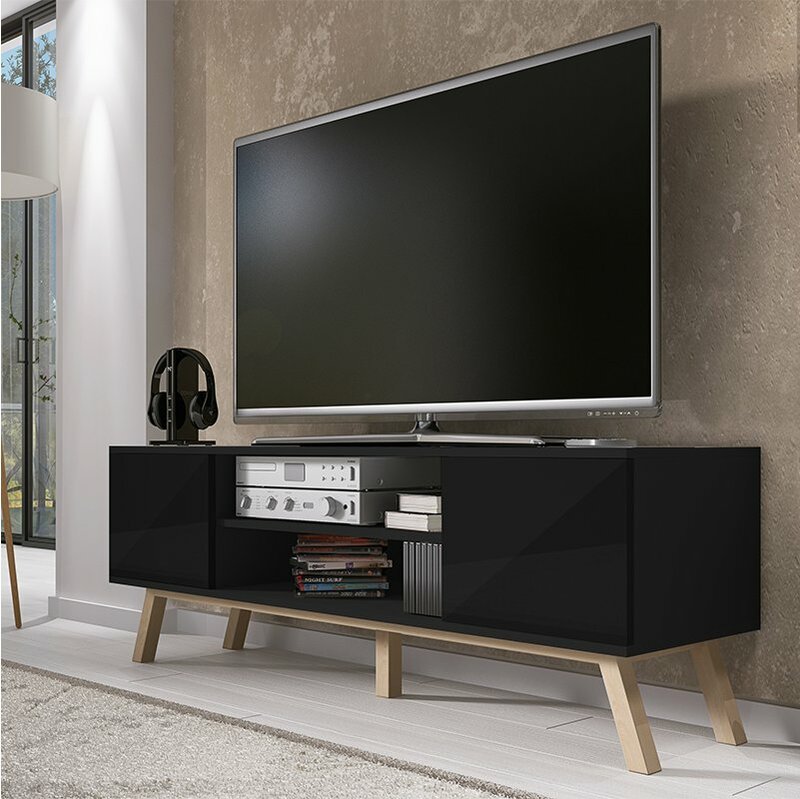 This modern looking TV Cabinet Stand features a durable matte side body finish with two stunning gloss front door panels, equipped with a push-click system for opening and closing. The cabinet then rests on beautiful ?beach? colored wooden legs. 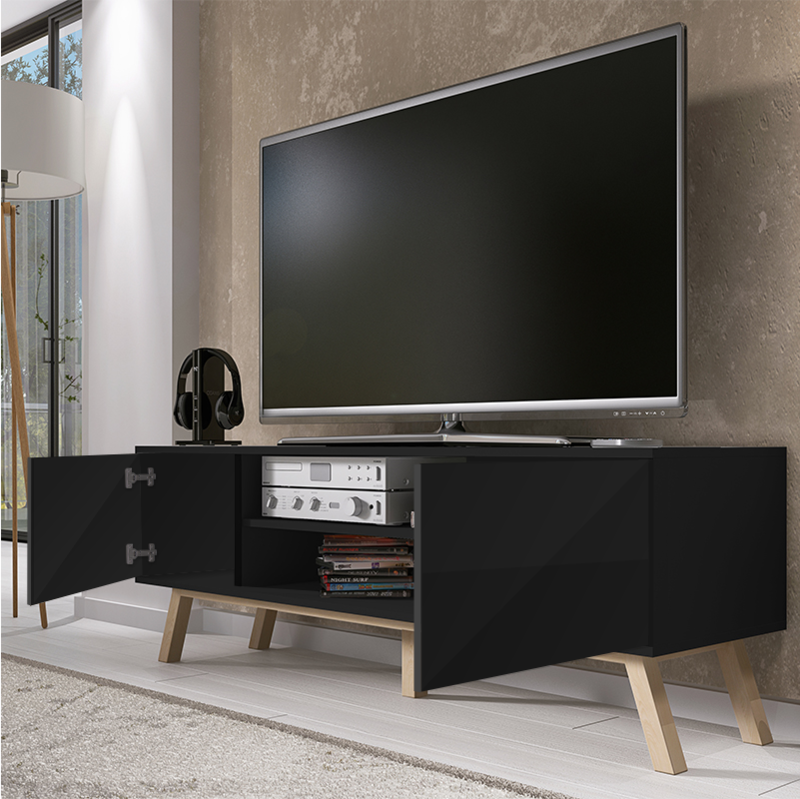 The Vero Wood is constructed with two spacious centre shelves measuring 70 cm in length that enables you to store your audio-visual equipment, while other items can be neatly hidden away from view in either side compartment. 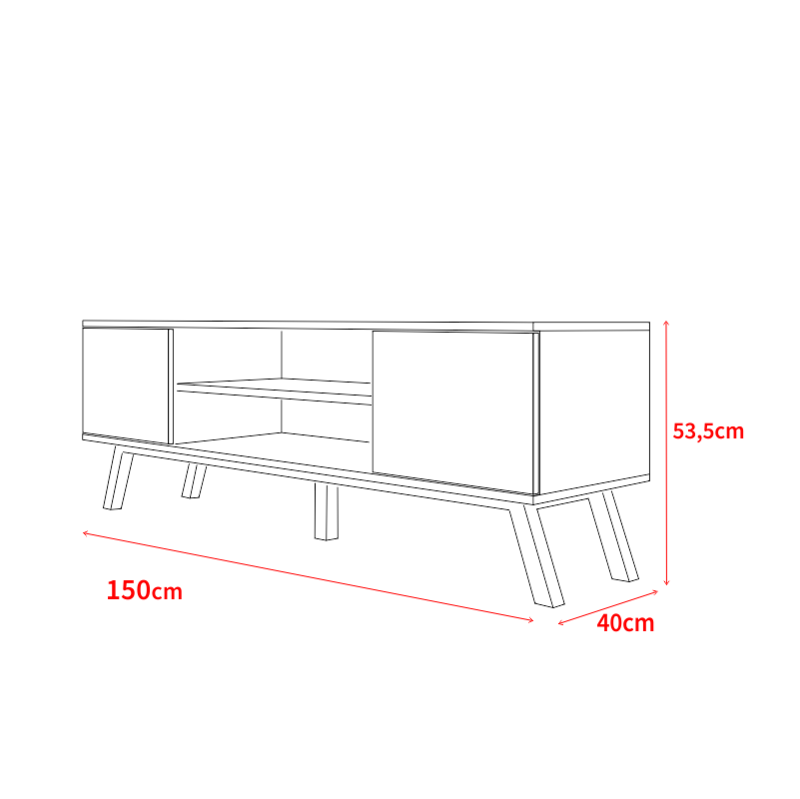 The upper shelf measures 17.8 cm in height, whilst the lower shelf measures 20 cm in height. 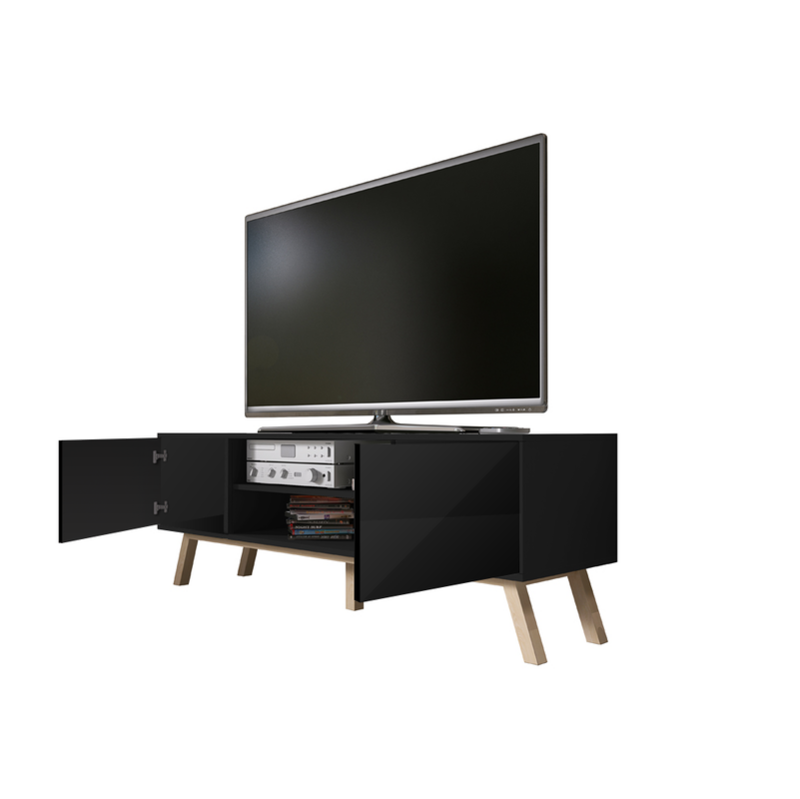 Suitable for TV's up to 70"